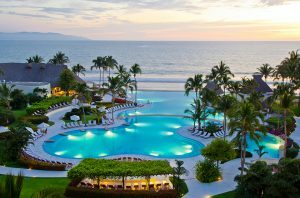 Velas Resorts is a Mexican hospitality group, founded 25 years ago with one objective: to offer the most sophisticated luxury all-inclusive resort experience in Mexico’s best beach destinations. Today, this vision is a reality, with five properties that have received a total of 48 AAA Diamonds, including the ultra-prestigious Five Diamond Award. 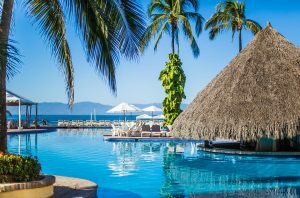 Inspired by passion for hospitality and sharing the culture of Mexico, the first Velas Resort was built in 1991: Velas Vallarta. 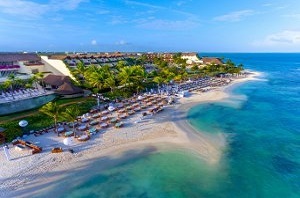 It soon became renowned for its generous All Inclusive concept featuring first-class service. 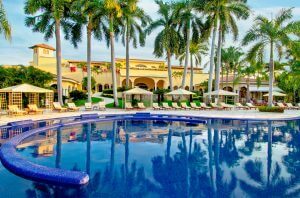 Following its success, resorts Grand Velas Riviera Nayarit (2002) and Casa Velas (2005) – an Adults-only Boutique Hotel nestled on a Golf Course– joined the family. The Grand Velas brand was conceived to redefine three key aspects of the travel experience: Accommodations – planned to feature only luxury amenities; Culinary Experience – with exquisite creations from around the world at all-day restaurants and specialty fine dining venues; Premium unlimited bar with domestic and imported wine and spirits; Facilities – world-class services and features plus signature Spas. 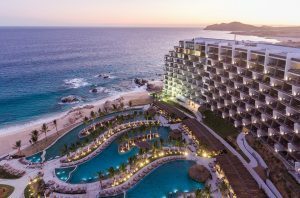 With the opening of Grand Velas Riviera Maya (2008) and Grand Velas Los Cabos (2016) there are now a total of five extraordinary properties. Being a company of 5 resorts of more than 1,500 suites all together, with gourmet restaurants and bars, convention centers, state of the art fitness centers and signature spas, we are keenly aware of how our presence affects the environment and its eco-systems. We make it our priority to safeguard and reduce our impact through the implementation, operation and continual evaluation of the management and preservation of our environment. As a significant source of employment in the areas we operate, Velas Resorts promote the professional development of our employees and works with local suppliers who engage in environmentally sound practices. We adhere to the highest standards of waste reduction by establishing protocols that are reflected in our use of eco-friendly products and renewable resources, and the overall management of our installations.